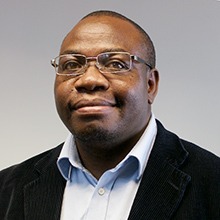 Cleto Mudhefi is the Managing Director of Precious Hope Health and Home Care, a health care provider with branches in Leicester, Milton Keynes and Nottingham. With a background in health and social care, Cleto has held senior health positions in the National Health Services in Africa and has worked for the United Nations in the health sector. Cleto is passionate about the work of a wide range of non-profit organisations and is a Trustee and the Vice Chair of Leicester Jubilee Worship Centre. Cleto has also served in various leadership roles in Church. Married for 18 years, Cleto has lived in Leicester for the last 15 years and is a proud father of two sons.